On Friday night, we had a nice gathering at the SAT observatory at Cité de l’Air. The weather was much better than three years ago: it was warm and not windy! Quite a few clouds though, but they let us look at Saturn and a few objects from the Messier catalog. Claude had pulled the 60cm out: always an impressive sight! All the SAT members who helped for the Marquesas trip and the Moorea astronomy workshop were there, with a few more I hadn’t seen since the IYA2009 visit. Was nice to rekindle with some and to share our experience of the past 12 days! After a short night at Roland’s house and a quiet morning, we went for lunch at the Marina Taïna: wonderful day, with gorgeous views on the reef and Moorea. A cheese and wine dinner with Roland and Tupuai (thanks to Shirley!) and it was time to go to the airport, say goodbye to Philippe, Claude, Roland, Tupuai, Lyvonne and Jean-Michel, and board the plane for Hawaii. Thanks to all for a wonderful experience! 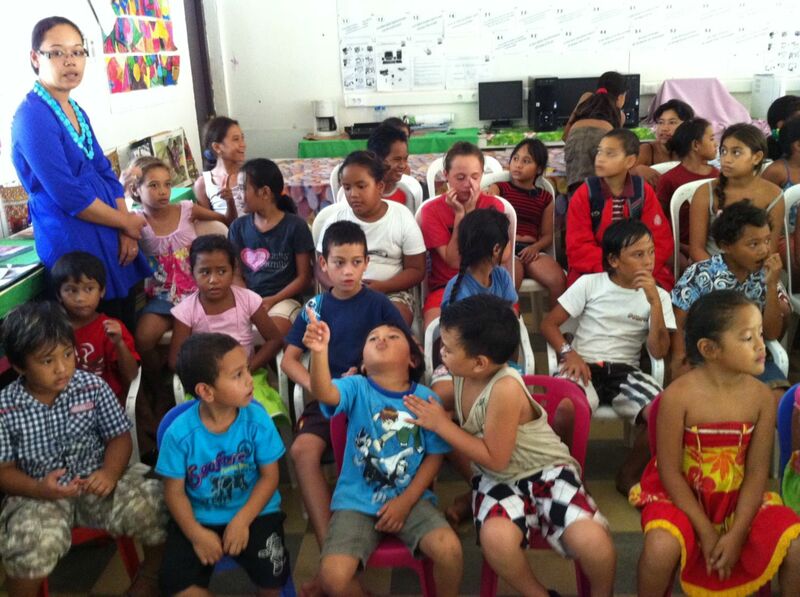 We completed our Education and Public Outreach expedition last night and came back on Tahiti today at noon. 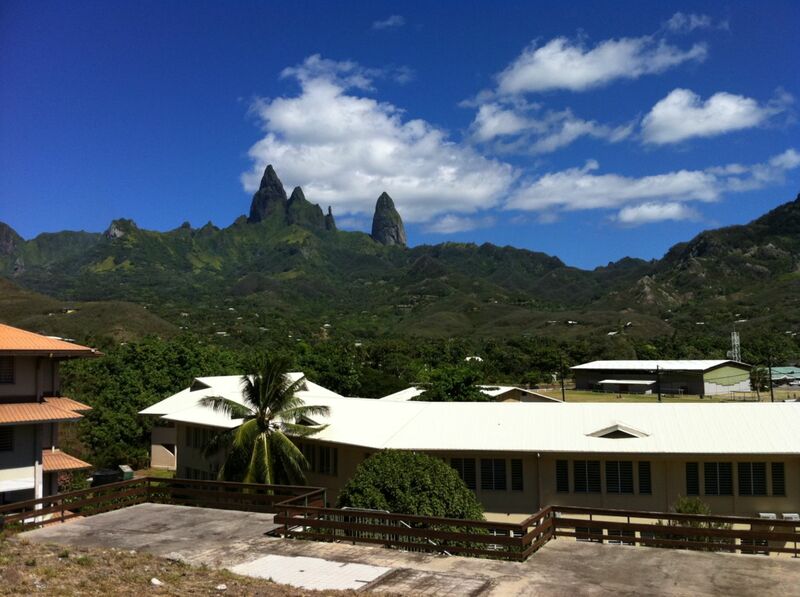 Our work on Moorea was nicely organized by Lucette Tareo, with many contributors from Société Astronomique de Tahiti, Société des Etudes Océaniennes, Proscience, Haururu, Fafaite, and the support of Attiti’a and UC Berkeley. Wednesday night, we enjoyed a very interesting conference on Tahitian navigation by Jean Claude Teriierooiterai. Thursday was busy again with more classes from the various Moorea elementary schools attending a selection of workshops among many offered in parallel (see the list here). I left the Gump station mid-morning for the Pao Pao Collège and a visit of classes who had been exposed to astronomy earlier. 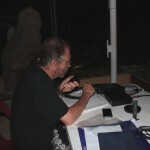 I went on the air calling from Cook’s Bay and made some contacts in the late afternoon. Another very interesting conference, this time by R. Koenig on the 1769 visit of Tahiti by Cook and Banks, brought us to a wonderful dinner shared with all those who helped with this Moorea astronomy event. I went on the air again for a couple of hours while Philippe, Claude, and Eric (Gauducheau) showed the sky one last time to the dinner guests. Lucette gave Philippe and me a short tour of the two bays and we caught the ferry at the last minute (actually 5mn before departure time!). Claude drove me to Roland’s place where I spend a quiet afternoon. Now, it is time to go to the SAT observatory to celebrate the conclusion of our expedition with all our SAT friends! 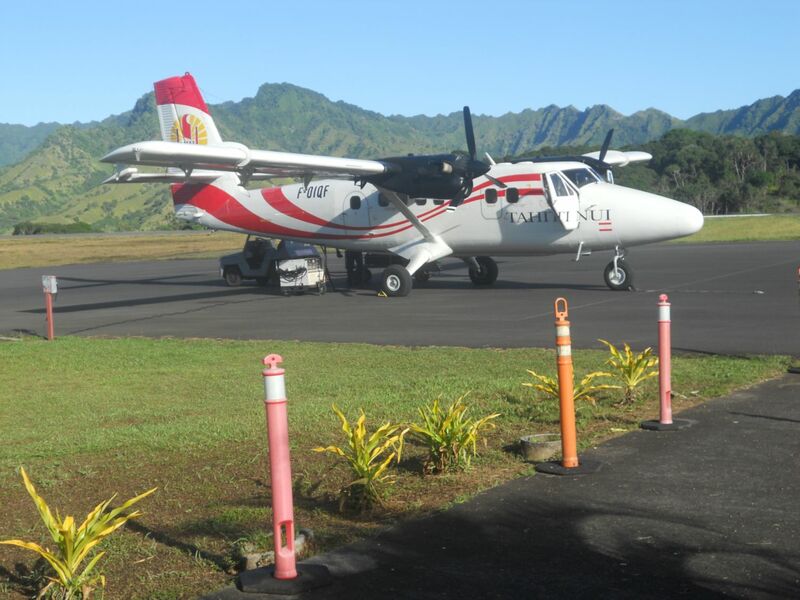 We arrived yesterday (Tue June 13) on Tahiti from Ua Huka in three flights: Uu Huka to Nuku Hiva with one stop on the way on Ua Pou, in the same Twin Otter we had on our way in, and Nuku Hiva to Papeete on an ATR-72. We were on time (14:50) at the Faa airport. 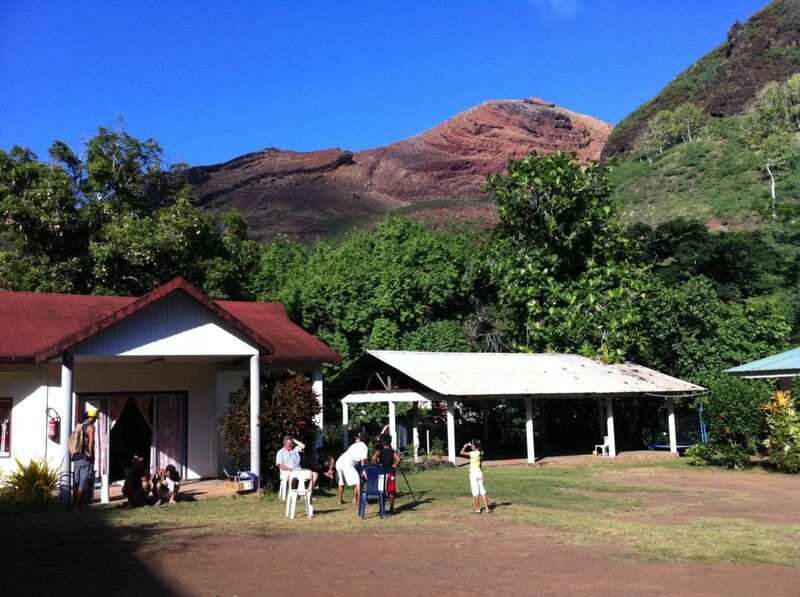 We left Eric in Papeete, who went back to his family and his work after these 9 days in the Marquesas. 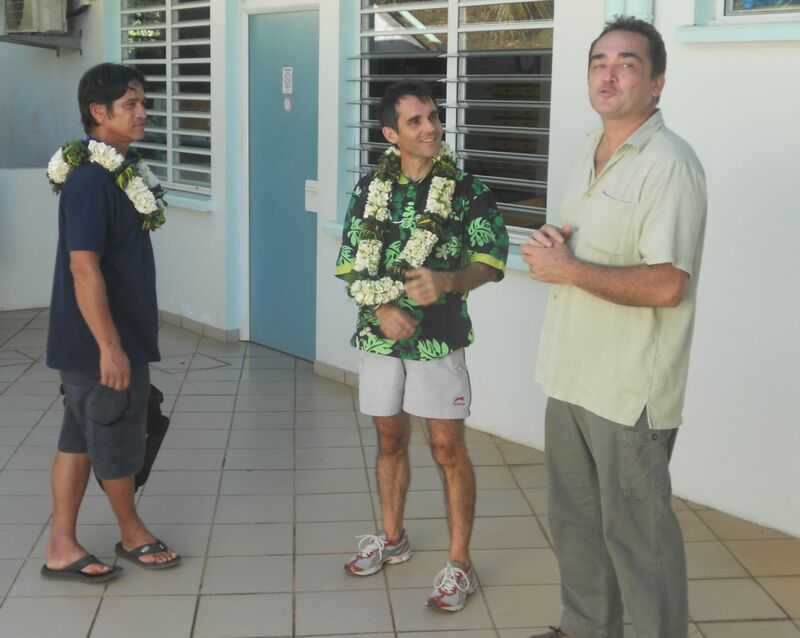 Philippe continued with me and Claude, also from the Société Astronomique de Tahiti, who joined us for the Moorea visit. We rushed through baggage and freight claims to arrive in time at the Papeete harbor to catch the 4pm ferry to Moorea. Just enough time to set up our belonging in our quarters at the UC Berkeley Gump station and to get ready for an evening conference I gave in a nice outdoor amphitheater of the Association Te Pu Atitia. A great location under the stars, with many people and plenty of interesting question! Stargazing was the appetizer before a nice himaa dinner. 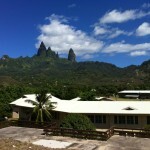 Early start this morning as classes from various Moorea schools started to arrive at 7:30. Many workshops were organized so classes moved in reasonably good order from one to another. We were all very busy, up to lunch time when students went back home. This afternoon is quiet, as it is only for the general public and there are only few people at this time of the day. More will come later for tonight’s conference and stargazing session. I am using this quiet time to update the log. The radio station is also set up and ready to transmit later today. We are on the west side of Cook’s Bay, and we should be able to have a good propagation. 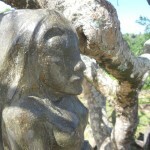 If the internet behaves, I will upload some pictures from Ua Huka and Moorea. 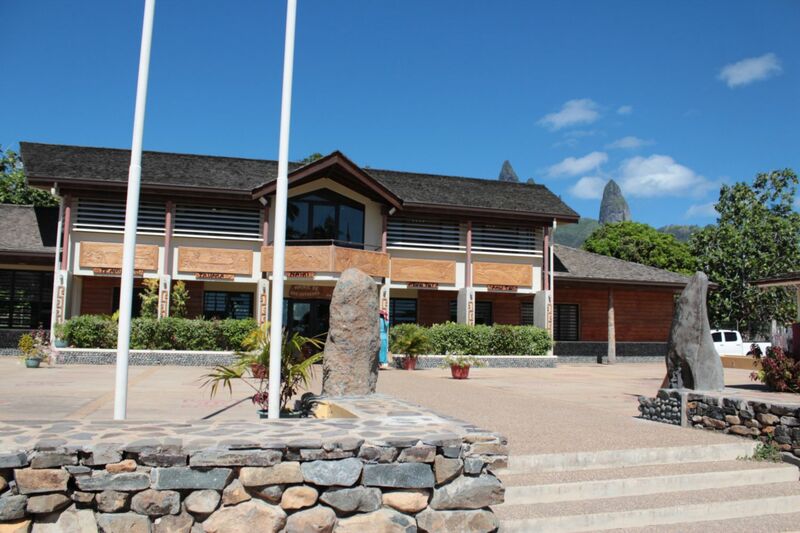 Tuesday morning… We had a wonderful evening yesterday, with ample time to show the heavens to our visitors and contact hams wishing to add the Marquesas to their log. It was abruptly stopped by the rain and we rushed to protect the equipment (telescopes and radio) from the water! We are now ready to leave Léon’ and Hannah’s home. Once more, a wonderful island and wonderful people. On to Moorea with a busy schedule set up for us, starting already tonight! 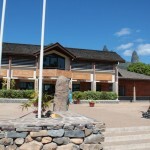 Monday early afternoon, we were welcomed at the airport by the mayor (Nestor Ohu), our host, Léon Lichle, and Ranka Aunoa, the director of the CJA. The mayor gave us a car and a driver (Noel Brown) to reach the schools we will visit. After a nice lunch at Léon’ and Hana’s home, we went for a reconnaissance of the various places we will visit (K-5 schools in Hane and Vaipaee, and the CJA in Hane). The vacant lot next to Léon’s will be the place for public stargazing on Monday and Tuesday night. We started our set up early, including the radio station. 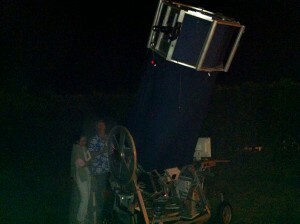 We had reasonable success star-wise with clouds passing by, but happy people from the neighborhood! Radio-wise, the pile-up was big and not well-behaved. 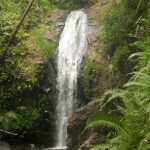 Could have been more fun… but many hams were happy to have contacted Ua Huka. A good dinner and we went to bed at 9:30pm to get some sleep: we are clearly sleep-deprived! 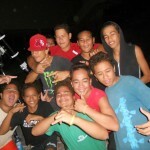 Early start this morning to be at the school in Vaipaee at around 7am. We had a great time with all the students of the K-5 school. 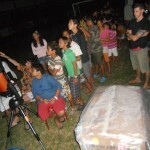 Up to first grade, all the students watched the Moon through the telescope, while the others were presented an overview of the near-by universe starting with Ua Huka and moving on to the closest star outside of our solar system, before looking at the Moon too and later at the Sun (full of spots!). Lunch followed at the Centre pour Jeunes Adolescents, a school for students from 12 to 17 who had problems with regular schools. They have general education and specialized teachings on sculpture (stone and wood) or cooking. A nice group of a dozen of kids who had prepared lunch for us and were exposed to some information on universe. 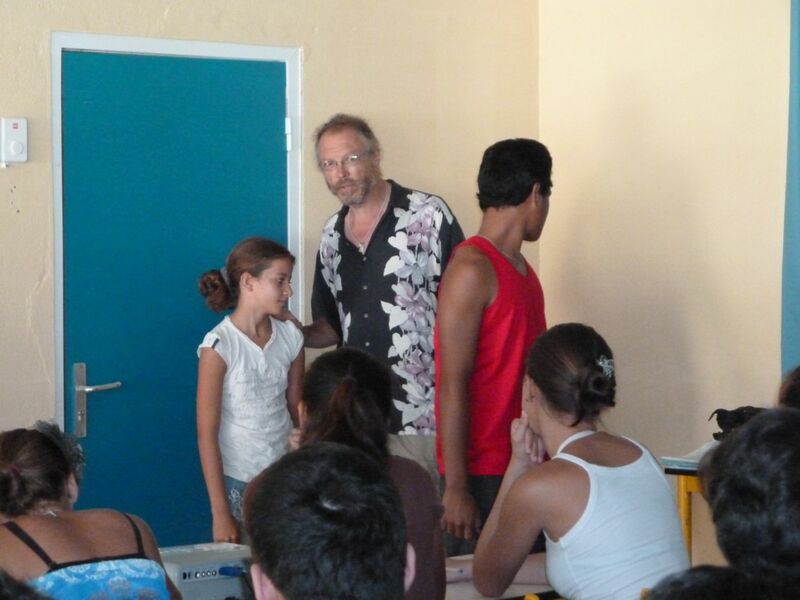 They had good questions and watched the sun: a very nice way for us to end our work with schools in the Marquesas Islands. We will now get ready for our second public stargazing. TX5VT will also be on the air for a few hours! 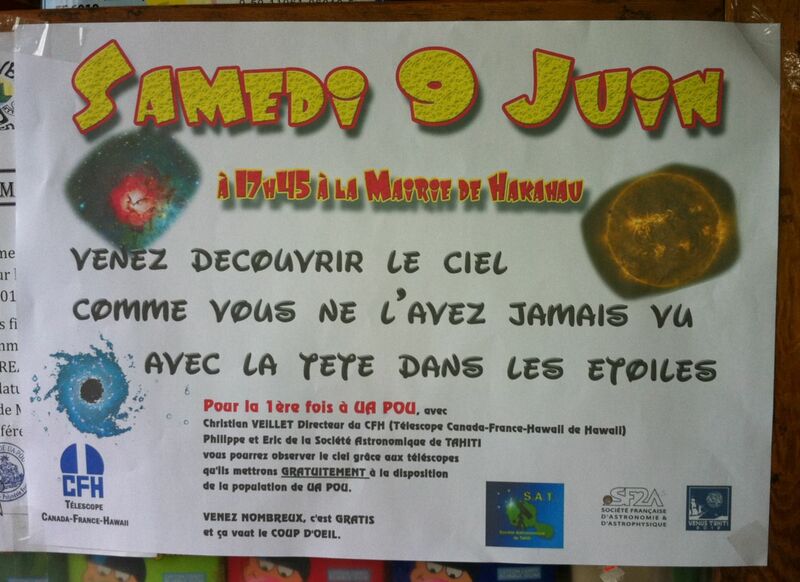 Lunch was great in Hakahetau, with, as appetizer, a short comedy played by four members of the collège staff. They did very well! 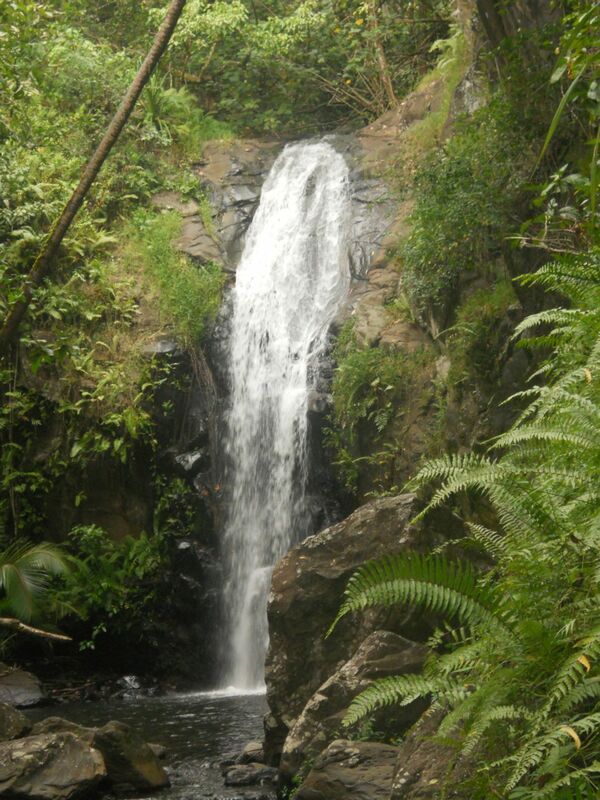 A short walk to the Hakahetau waterfall allowed us to briefly enjoy the native forest (and Eric the water!) 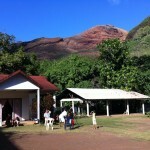 before heading back to Hakahau to set up the equipment for the evening. Christophe did a nice advertisement effort to announce the evening activities, as you can see from the flier he posted around town. 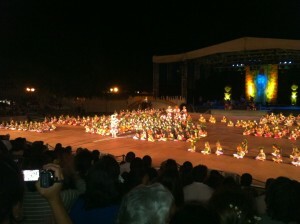 The mayor had authorized us to use the city hall plaza, which was an ideal place for the event. Once more, we installed the telescopes under an overcast sky. As one of the flagpoles was flag-less, I decided to use it to raise the G5RV up over the plaza, to set up the radio, and put TX5VT on the air. 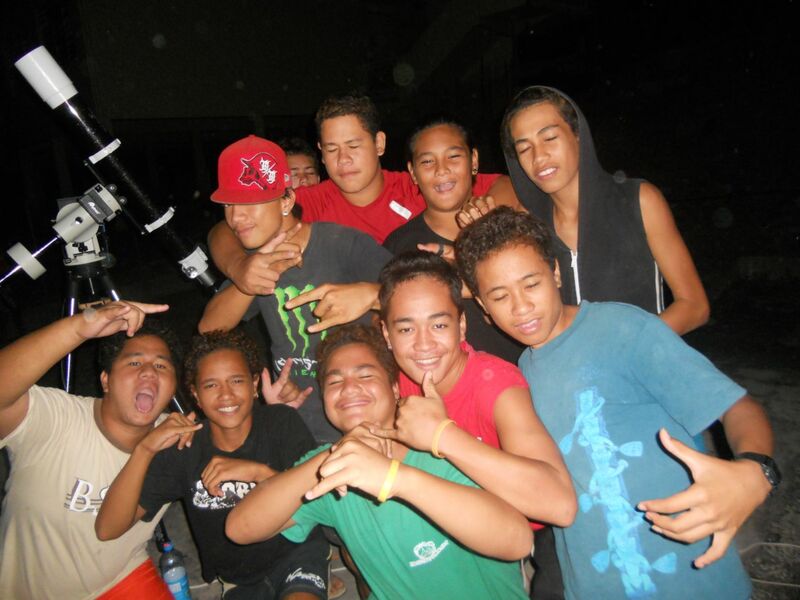 A quick check showed us that at least our friends close to Tahiti could hear us! People started to gather at around 6pm. It was still cloudy, so we moved to a presentation on astronomy for everyone around. Great to see so many people showing up! Plenty of questions and more pictures to show made everyone wait for a clearing in the clouds… which came at the right time! 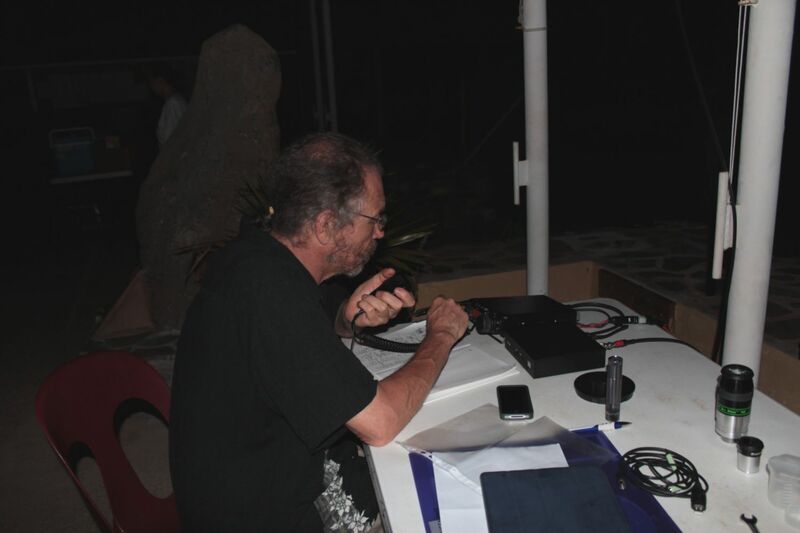 From there on, the evening moved to stargazing mode with some amateur radio action too: many French stations contacted us! Rainy morning… after a nice evening! Saturday morning on Ua Pou. Our stargazing last night went well, in spite of an overcast sky when we started to set up the telescopes. We waited for clearer skies watching a couple of presentations on astronomy, which gave the thirty students staying at school over the weekend a good overview of the world beyond the Island. Clouds passes in waves, but we were able to watch Saturn and Mars, Omega Centauri or Alpha Crucis,…, and the wonderful view of the Milky Way over the Ua Pou mountain range. A great evening for all, thanks to the help of Christophe, the school nurse, who is also an avid photographer and enjoyed the evening as much as the students! 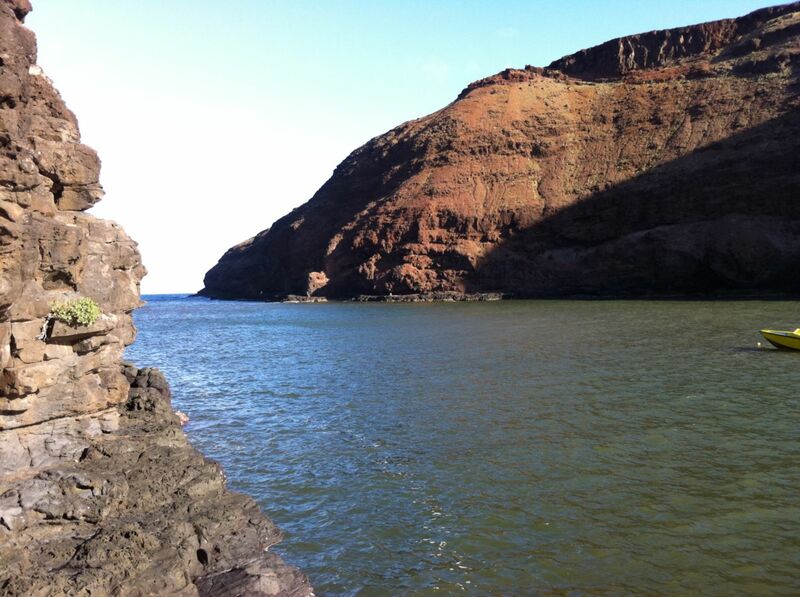 Lunch will be at Hakahetau with the Amicale du Collège. 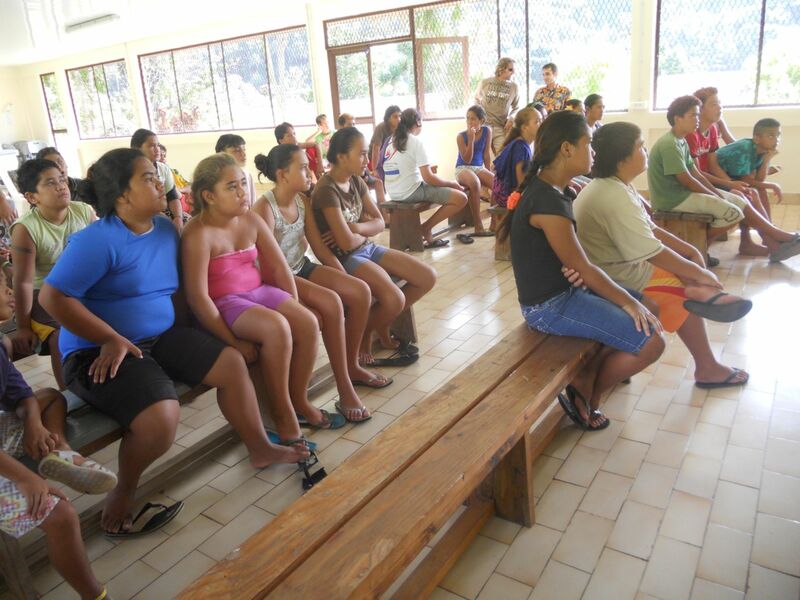 Au revoir Hiva Oa… Bonjour Ua Pou ! Early start to catch the Twin Otter 300 for a short flight between Hiva Oa and Ua Pou. Wonderful morning, with no wind and clear skies… The pilot regaled the passengers with a flight over the mountains on both islands, including flying between the peaks of Ua Pou, ending with a very smooth (and therefore unusual) landing. Armand and Edwige will be our hosts for our two days/nights on the island. They also own the house Benoît and Kamel rent on Nuku Hiva. It is the second time we stay in one of their houses! After a short stop to leave bags and boxes at the house and enjoy delicious mangoes, we went for a reconnaissance of the stargazing party locations: one for tonight at the collège for the boarders staying at school over the weekend, and one for tomorrow at the city hall (mairie) for the public and the boarders of the elementary school after a short public conference. Mid-morning, the clouds came in … but South is clearing up. Getting ready for the evening! This will be again a short summary of the day without pictures (slow connection from we are). 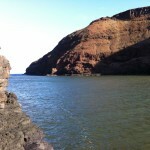 It is nearly 11pm here (Marquesas Tiime). We saw all the students of the town grouped by grade from 5th grade up from all the schools.. A difficult but rewarding challenge, with groups very different from each other. 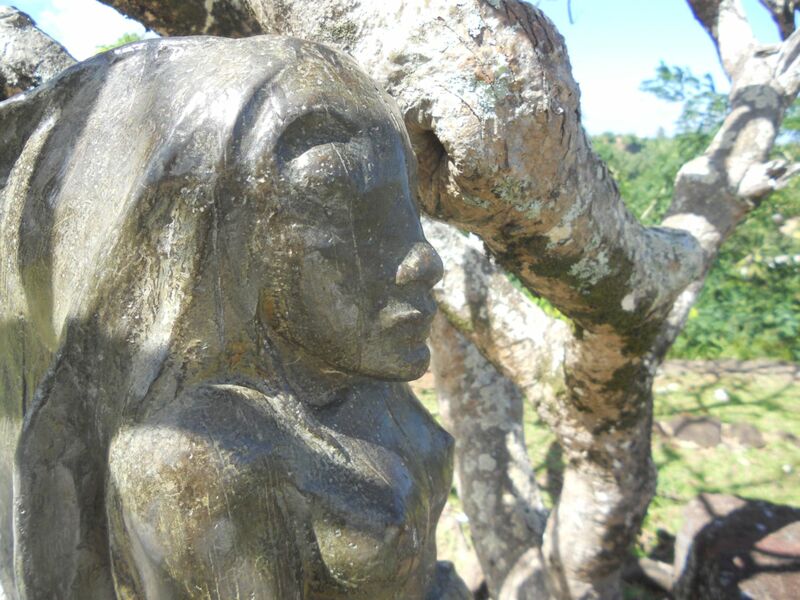 We used the lunch break for a short visit to Brel’ and Gauguin’s resting place. The last class ended at 4:30pm. 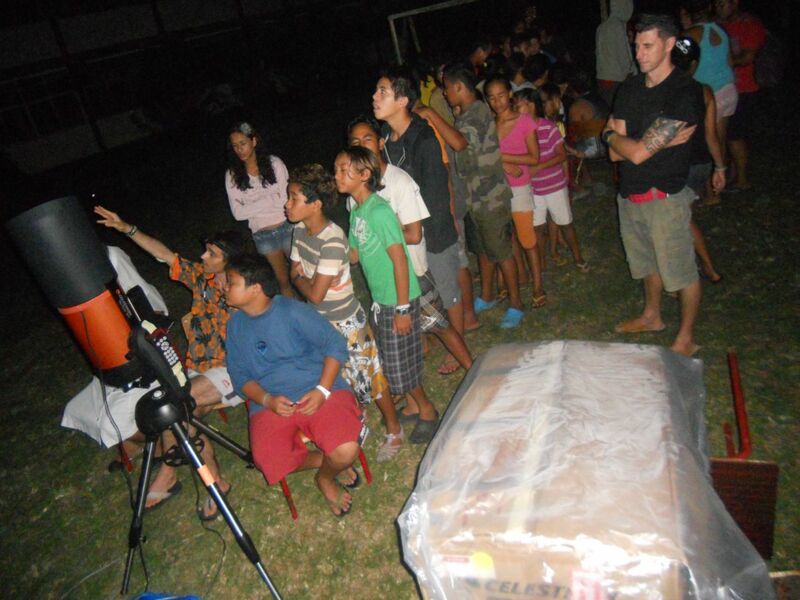 After a short break to get all the equipment and a pau hana to celebrate the graduation of one of the vocational programs of the Atuaona collège, we prepare a star gazing party which concluded abut after 21:30. Nice weather and many happy star-gazers! Nana Nuku Hiva… Kaoha Hiva Oa ! After a last breakfast at Cedric’ and Kamel’s house, we drove to the airport with all our bags and boxes. Solving the freight issues took some time but all went well. 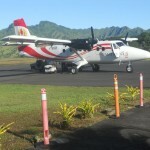 A short flight to Hiva Oa brought us safely on Hiva Oa. Benoît, who organized our activities on the Island, picked us all (people and boxes!) in his car and we drove to Atuona. Lunch and a reconnaissance of the various places at which we will have activities, and a visit to those we will work with, made most of the afternoon. We ended up in a little studio in which we decided to stay together instead of being spread around: it will ease transportation. Christian was scheduled for a conference at 6pm. 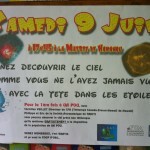 Eric and Philippe started a stargazing session at the Collège Ste Anne at 6:30pm. Very few people showed up at the conference, but they were interested, which made for a nice exchange. Christian came back to the stargazing field where the rest of the team was dealing with lines of students from Ste Anne and some of their professors. The classes from Ste Anne and the public collège all worked on astronomy for the past two weeks in anticipation for our visit: It made for good discussions while watching Saturn and Omega Centauri… A few clouds passed by here and there, but never for long. A very pleasant evening ending late when a few rain drops decided to fall on the last participants. A short dinner in our studio, and a few lines for this blog ended the day. Pictures will come tomorrow. It is nearly midnight! Christophe on Rainy morning… after a nice evening!